I am a big Lord of the Rings fan. When I was an undergraduate, I took a course on the History of Middle-earth that taught the series as if it were one hundred percent real. The Fellowship of the Ring was a narrative account from which we gleaned information about the Middle-earth. The Silmarillion was a history textbook (which works, because it very much reads like one). Exploring Tolkien’s fictional world as a real place made the author’s imaginary world more real and therefore more meaningful. It also taught the class a great deal about the intricacies of world building and the amazing depth Tolkien was willing to go to bring such a fantastic otherworldly vision to life. Now a group of people are recreating Middle-earth again, one cube at a time, in Minecraft. Both Scott and I have written about Minecraft before, but for those still unaware, it is a game currently in alpha that randomly generates a world made out of cubes which can be disassembled and put back together again to create a variety of objects. One person can make a comfortably log cabin or, as in the LotR example, a large number of people on a single server can build entire villages together. The task these Minecraft players have set for themselves is immense. 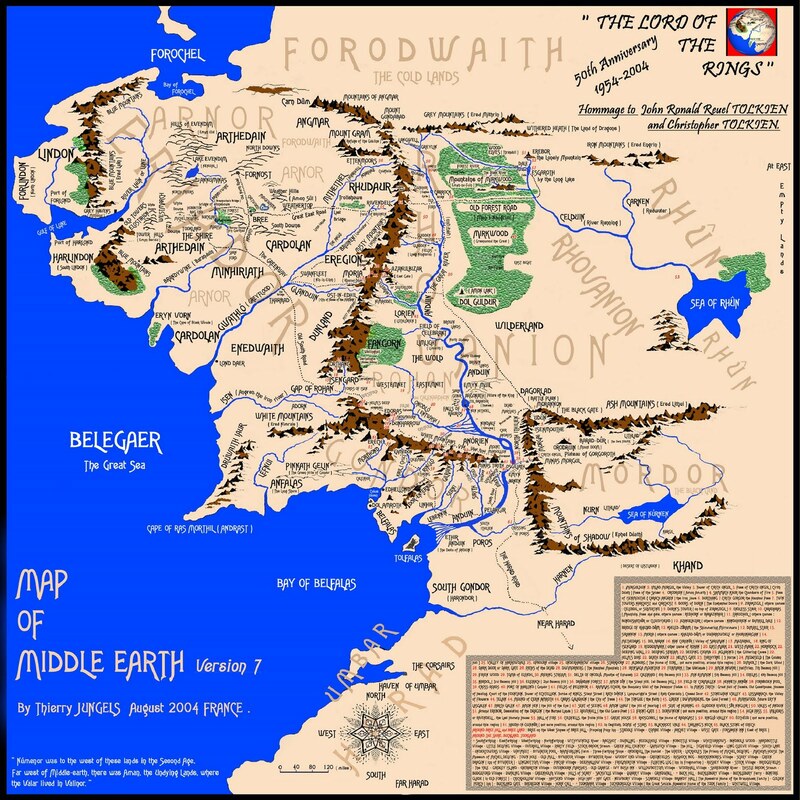 Middle-earth is absolutely enormous (which is why it takes Frodo so damn long to get to Mordor). While the self-titled “Foremen” of Middle-earth Minecraft project are aiming to scale the landscape down a bit, the amount of work to be done is mind-boggling. Yet they are making good headway. Hobbiton is pleasant and Bree, a relatively small village just East of the Shire, is almost complete. The central road leads through town, passing by the Prancing Pony (a necessary reference to the lore) and a few notable landmarks. Players are also welcome to build a home and farmstead in and around Bree, so long as the one plot of land they build upon does not contradict Tolkien canon or tarnish existing buildings. 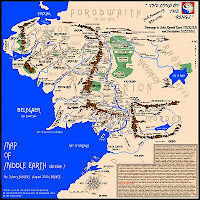 Those of whom are finished with Bree can contribute to the long road to across Middle-earth, with notable stops along the way to build Rivendell, Moria and, one day a long way off, Mordor itself. What these players are doing is far more impressive than the recreation of a single-object, like the Starship Enterprise. They are also not creating Middle-earth from a map editor, choosing to recreate the world themselves. They are building history - a fictional history, but an incredibly rich world nonetheless. It is a dual history. 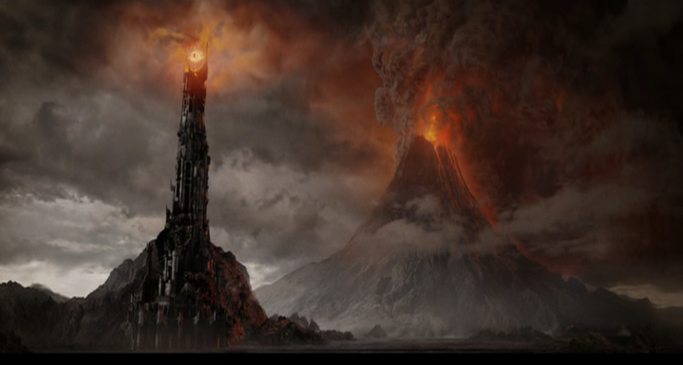 When Isengard is finally built, it will be meaningful to those familiar with the fortress and its lore. But it will also be meaningful to those who built it - not the Númenóreans but the individual minecrafters who raised its walls. When Middle-earth is complete, it will tell two stories, one the story of Tolkien’s realm and the other the story of a player-created environment, and both will be richer for it. Exploring the fictional world, despite its cubed aesthetic, will reveal a very real history of its creation bound into Tolkien’s work. This is more than most MMOs could ever hope to achieve. While the finished LotR server may not be populated with Orcs and Ents, it does hint at the possibilities Minecraft could create. Imagine a Middle-earth inhabited by opposing factions. Imagine a historical reenactment of a battle outside the walls of Minas Tirith. It all begins with a few more blocks. Good lord. I had not heard of this! Sounds pretty amazing - my experience with Minecraft's multiplayer is all but non-existant, so it's nice to hear that it does everything I'd hope it would. What's also cool about this is that it sounds as though the towns are being built in the order in which they were introduced in the books. So, by starting in the Shire and working their way east, the creators are also tracing the narrative of the trilogy! By the time they make it to Mordor, it'll feel about as triumphant as when Sam and Frodo made it in the books. Awesome. Wow. Again, this reinforces to me that there is a serious lack of good games out there that allow players to just build stuff. I have to wonder if LEGO Universe will scratch the same itch. They guys building middle-earth sure have a big knowledge about Lord of the rings lore. Come to think about it, Minecraft seems to have the potential to work as a teaching tool. Making students build fictional or historial worlds so they get a better understanting fo such works and look immediately at the rewards. They could build a desert world like in Dune, or build the city of Troy and then burn it down. Althoug, I guess it would requier alot of time. Thanks to everyone for the comments. And Frankis: keep doing what you're doing! It's an awesome project.